Enjoyed worshipping with the people at Eglise Presbyterienne La Trinite this morning. The sanctuary is right outside our back door, so it was a very short commute. Sunday school started around 8:15 and the church service at 9:15. It was a hot morning, and although we were sitting directly under a fan, it was only moving the heat around. 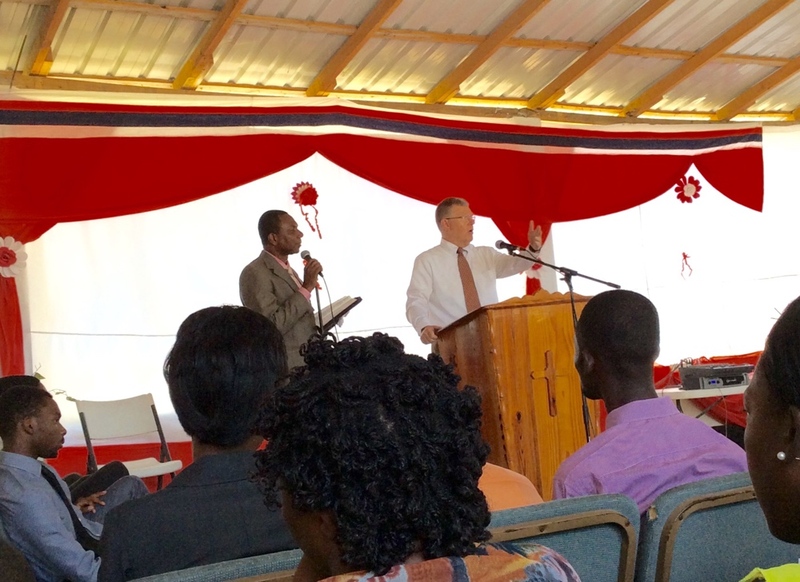 Most of the service was in French and singing in French Creole, Dale preached in English and Esaie translated. He preached on Philippians 3:1-10, stressing the truth that Christ is our righteousness, we can add nothing to gain our salvation. This church has a large number of children and youth – about 66% of the congregation is under 18. Even in this heat, the men all had on long sleeved shirts and ties, even the young men. This afternoon we did some preparations for our first day of teacher workshops tomorrow. 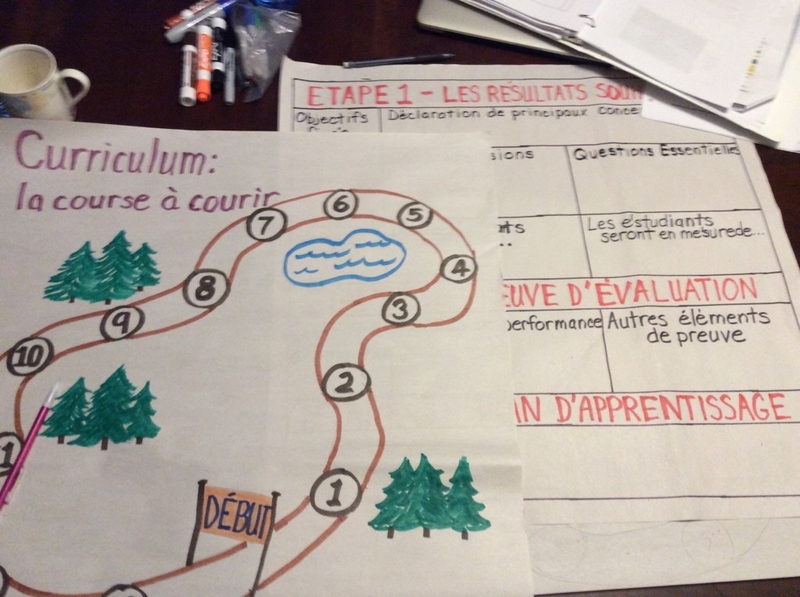 Carla gave me some poster projects, and she and Dale are working on getting their Power Points translated into French. 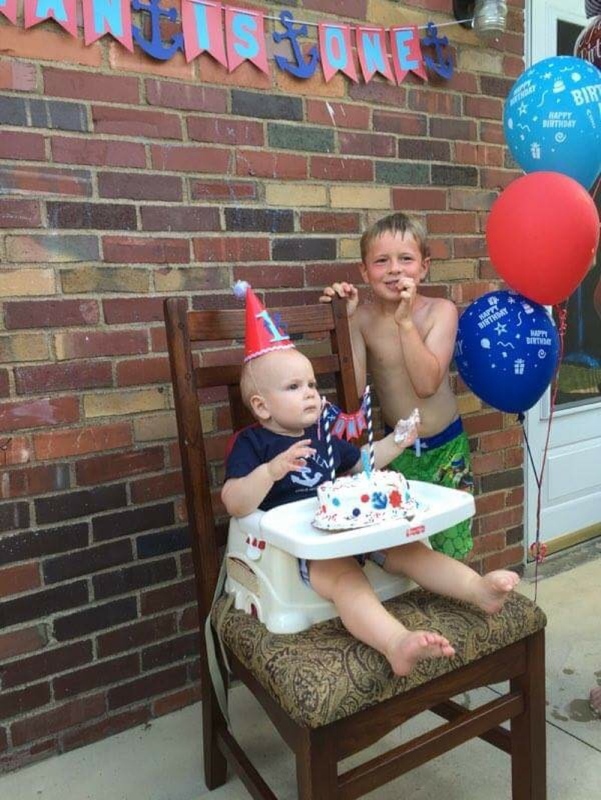 A part of my heart is back in Pittsburgh where my youngest grandson is having his 1st birthday celebration. Thanking God for the Internet and Face Time. 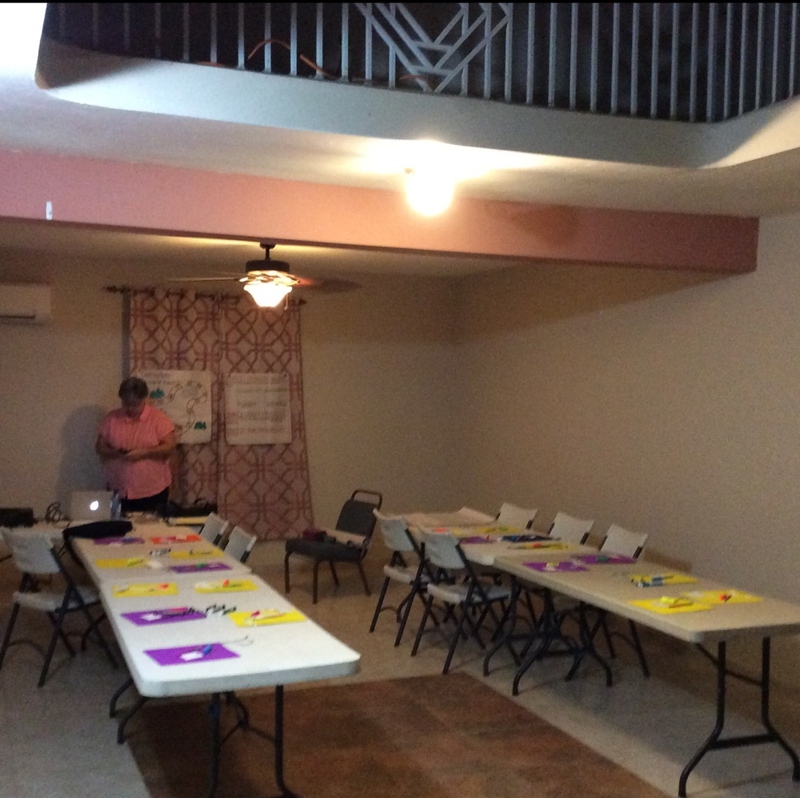 After church tonight we will be setting up the classroom for tomorrow. The room we use is the front living area of this building. A lot of heavy furniture will have to find a new place to sit!